Welcome to the #1 choice of many pets and pet owners in our area! 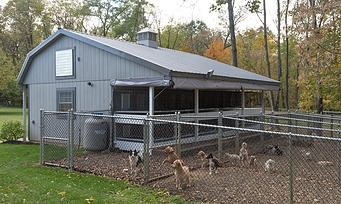 We are a full-service boarding facility nestled in a beautiful country setting with plenty of room for your dogs! Come give your dogs the ultimate vaction! Here at Blue Ribbon Kennels we strive to provide a safe, clean, spacious, and loving environment for your dogs! The owner, Jerry Kreider, owns Booth's Corner Pet Supply in Boothwyn, PA. There we specialize in pet supplies and also find good homes for the puppies we sell! The puppies never spend the night or the week at the store. When they are not there, they are at home with the owner, Jerry, himself! 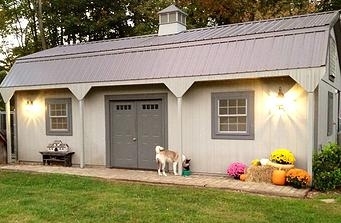 He built a beautiful new kennel for his puppies and began a boarding business because of his passion for dogs. 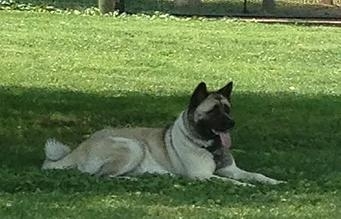 Blue Ribbon Kennels sits on a beautiful 20 acre lot with lots of farm land and woods! The family has dogs, minature horses, and chickens! Jerry, his wife Audrey, and his daughters are all eager and ready to take care of your dogs! 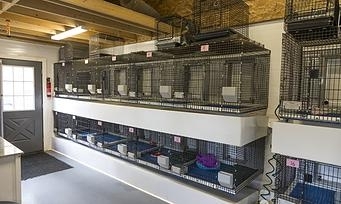 Blue Ribbon Kennels is equipped with heating, air conditioning, and is kept very clean! Your dog will be very comfortable! 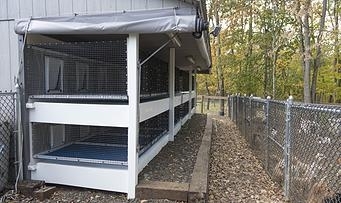 At night the dogs sleep in comfortable crates with 24 hr access to the outside. On days when the weather does not permit extended play time outdoors, they can still get outside exercise underneath an overhang plus have additional exercise inside. 24 hour access to outside run through a doggy door in their suite. We pride ourselves greatly in the love and care that we give to our dogs. We just need a copy of an up to date Rabies certificate for your dog!